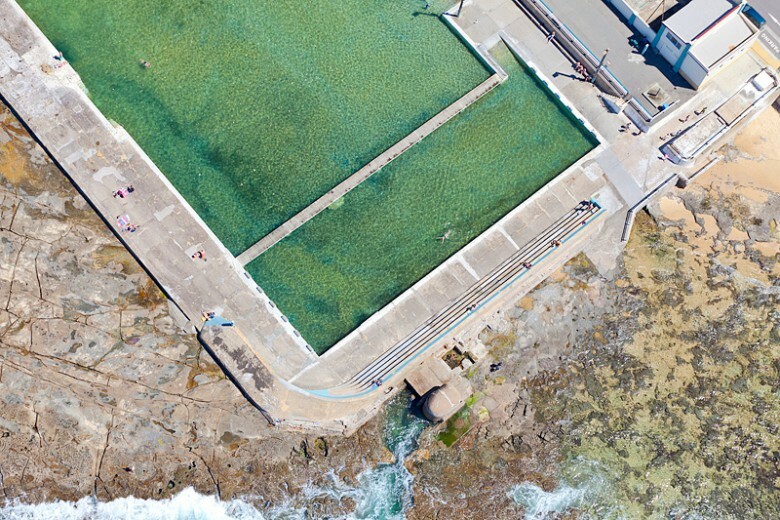 Welcome to our Newcastle Beach and Newcastle Ocean Baths page of our website. Here you will find everything you need to know about what we can offer you of this area. On the right you can search for photos of Newcastle Beach but if you wanted to see shots of Canoe Pool you will have to search for that separately. My collection of photos of Newcastle span over 15 years of shooting in the area. Of all the sunrise and sunsets that I have shot my favorite images are those taken in summer when the beaches are packed with people. Over the last few years we have invested in shooting aerials from a helicopter and these images are just very popular with our gallery visitors and online shoppers. All our work is available in a range of products from Stretched Canvas, Acrylic Face mount (Glass prints), Photo only (rolled in a tube and posted), mounted photos and framed. 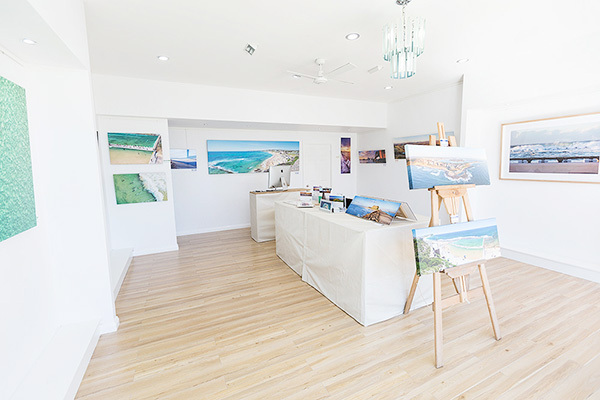 We have a gallery located in Warners Bay where all these product types and local images can be viewed. We have just released a beautiful Tasmanian Oak frame that is extremely popular and complements all of my aerial shots beautifully along with the landscape images as well. We have over 300 images of the Newcastle area with a great collection of photos of Newcastle Beach, the ocean baths and Canoe Pool. We have surf, landscape and aerial photos of all these locations. To view Canoe Pool images please search for Canoe Pool. When it comes to photos in your collection that standout this would have to be one of them. On a memorable sunrise / morning helicopter flight this was one of many shots we captured. Getting this image wasn’t easy as it is a view that is over 180 degrees. The photo takes in Newcastle Beach (just cutting off the Bogey Hole unfortunately) and goes all the way to the end of the Nobbys Lighthouse breakwall. In the distance you can clearly see Stockton Bridge through to the sand dunes of Stockton to towards Anna Bay. Newcastle Ocean Baths are probably one of the nicest baths along the NSW coastline, though it is ripe for a re vamp to bring it in line with the development in the area, but aside from that it is a great place to take photos at and also visit for a swim with the kids and if your kids are too small then the adjacent Canoe Pool is ideal. We have some great aerial shots as well of the Baths and the Cowrie Hole. Canoe Pool would be one of those places that hold fond memories for parents with young kids. Such an ideal spot to take them on a hot day to cool off. Apparently under all the sand in the pool is a map of the world, not sure if this is an urban myth or something that is real. We have many photos of canoe pool, this one especially on sunrise is fantastic when there was some local bush fire smoke in the air, gave the shot a really warm feel and diffused the sun perfectly. Our online gallery also has aerial shots of the pool along with some surf shots as well. Over the last few years we have invested into increasing our range and diversity of images of the Newcastle area and a great way to do that is to head to the sky and shoot down. The results are amazing, it’s a whole new world up there. We have almost 50 aerial photos in our collection mostly taken during the summer months when the beaches are packed. But we have also done a morning shoot as well. Our aerial collection of images range from Nobbys Beach to Newcastle Baths along to the Bogey Hole, Bar Beach, Dixon Park, Merewether Beach and Baths, to Redhead. We print all of our posters on a thick, high quality paper making them ideal for framing. Our posters once printed are wrapped in tissue paper and then rolled and shipped in secure cardboard tubes. Posters retail for $25 each. We also have a range of square posters of our aerial images and they retail for $40 and can be found in our online shop under posters. As we mentioned above briefly in 2012 we published Newcastles first and only landscape photography book. 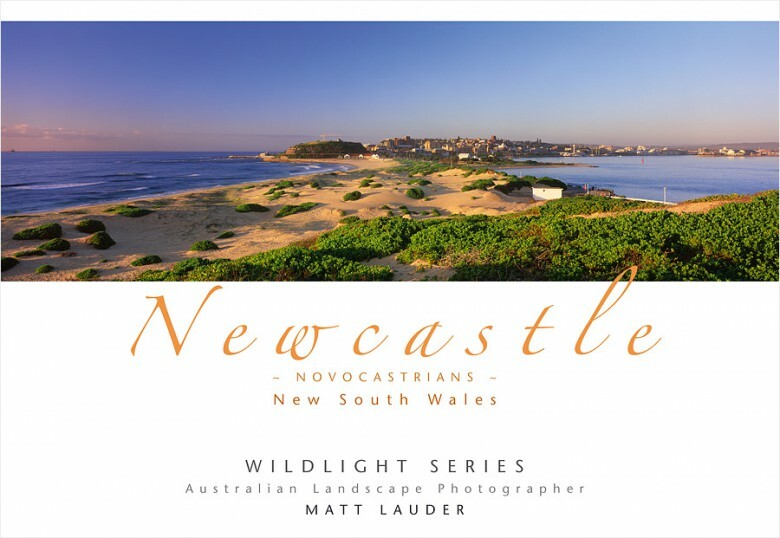 The book has photo’s from the whole Newcastle area from Nobbys to Redhead. The book is 64 pages in length, hard backed and only weighs 260 grams which means if your posting it locally or overseas it goes as a large letter rate when packed in one of those Australia Post padded bags. Our Newcastle books has been so popular that we are into our second print run already. The book retails for $15 and is part of our Wildlight series of books. We also have books titled The Central Coast, Sydney Splendour and Sydney’s Eastern Beaches. All books can be purchased in our online E Shop. 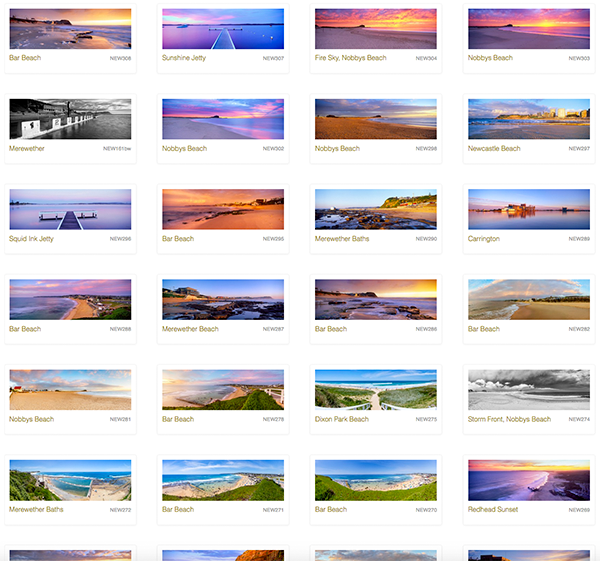 Our Newcastle online photo gallery hosts over 300 images of the area in all kinds of dramatic light from sunrise and sunset, to the crisp colours of the morning or a hot day in summer. 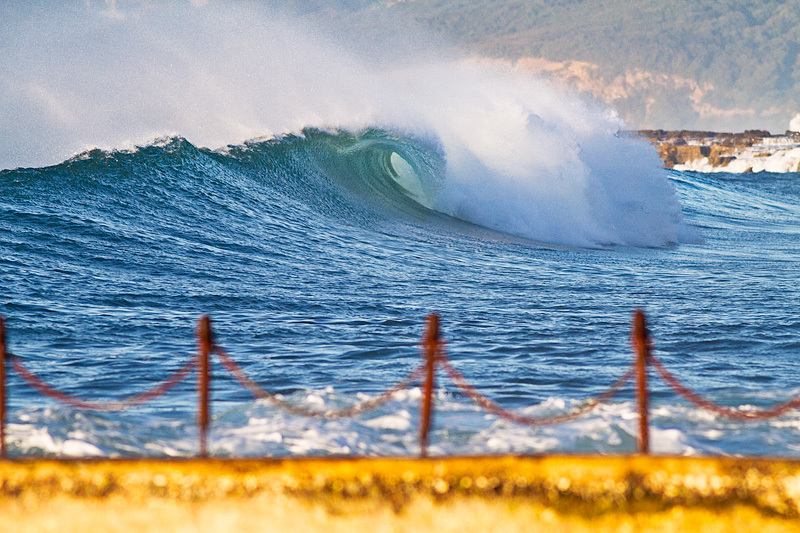 We have a few surf shots along with a great collection of aerial images as well. 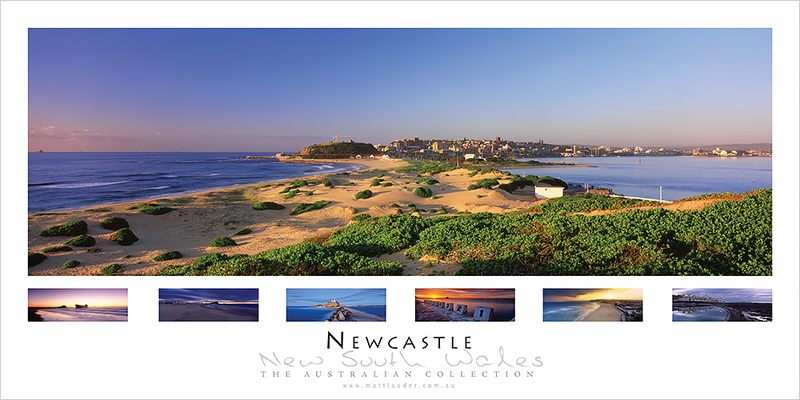 Our whole collection includes photos from the whole Newcastle Coastline from Stockton to Redhead, Valentine and Toukley. We are always working on adding new images and angles to our collection. If you have any requests for a location that is not there please let us know as there is nothing better than the advice of a good shot from a local.